'TLC: The Low Countries' is a yearbook which aims to inform the English-speaking world about the culture of Flanders and the Netherlands. The articles in this yearbook survey the living, contemporary culture of the Low Countries as well as their cultural heritage. 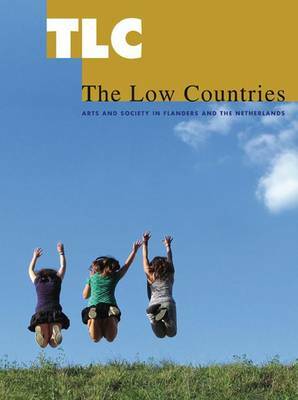 In its words and pictures 'The Low Countries' provides information about literature and the arts, but also about broad social and histroical devlopment in Flanders and the Netherlands. The culture of Flanders and the Netherlands is not an isolated phenomemnonl its development over the centuries has been one of continuous interaction witht he outside world. In consequence the yearbook also pays due attention to the Low Countries and the world beyond their borders. By drawing attention to the diversity, vitality and international dimension of the culture of Flanders and the Netherlands, 'The Low Countries' contributes to a lively dialogue between differing cultures. This yearbook again displays a sample of the diversity of art and culture to be found in that delta region once sneeringly labelled 'that indigested vomit of the sea' by the seventeenth-century English. Writers, painters, visual artists past and present, culture managers, landscape architects, the Veluwe's cultured nature and naturalised culture, Belgians who speak German, conflict management in Belgium itself as the political consultative model seems to have reached its limits, architects, musicians, film-makers, sociologists and philosophers. They all help to shape this part of Europe.